Spring Boot vs Spring MVC vs Spring - How do they compare? What is Spring Boot? What is Spring MVC? What is Spring Framework? What are their goals? How do they compare? What are the problems that Spring Framework wanted to solve? What are the problems that Spring MVC Framework wanted to solve? What are the problems that Spring Boot wants to solve? Most important thing that you will learn is Spring, Spring MVC and Spring Boot are not competing for the same space. They solve different problems and they solve them very well. What is the core problem that Spring Framework solves? Think long and hard. What’s the problem Spring Framework solves? Most important feature of Spring Framework is Dependency Injection. At the core of all Spring Modules is Dependency Injection or IOC Inversion of Control. Why is this important? Because, when DI or IOC is used properly, we can develop loosely coupled applications. And loosely coupled applications can be easily unit tested. Consider the example below: WelcomeController depends on WelcomeService to get the welcome message. What is it doing to get an instance of WelcomeService? WelcomeService service = new WelcomeService();. It’s creating an instance of it. And that means they are tightly coupled. For example : If I create an mock for WelcomeService in a unit test for WelcomeController, How do I make WelcomeController use the mock? Not easy! World looks much easier with dependency injection. You let the spring framework do the hard work. We just use two simple annotations: @Component and @Autowired. Using @Component, we tell Spring Framework - Hey there, this is a bean that you need to manage. Using @Autowired, we tell Spring Framework - Hey find the correct match for this specific type and autowire it in. In the example below, Spring framework would create a bean for WelcomeService and autowire it into WelcomeController. What else does Spring Framework solve? Consider Spring JMS and Spring JDBC for a moment. For example, you need much less code to use a JDBCTemplate or a JMSTemplate compared to traditional JDBC or JMS. Problem 2 : Good Integration with Other Frameworks. Great thing about Spring Framework is that it does not try to solve problems which are already solved. All that it does is to provide a great integration with frameworks which provide great solutions. What is the core problem that Spring MVC Framework solves? Spring MVC Framework provides decoupled way of developing web applications. With simple concepts like Dispatcher Servlet, ModelAndView and View Resolver, it makes it easy to develop web applications. Why do we need Spring Boot? 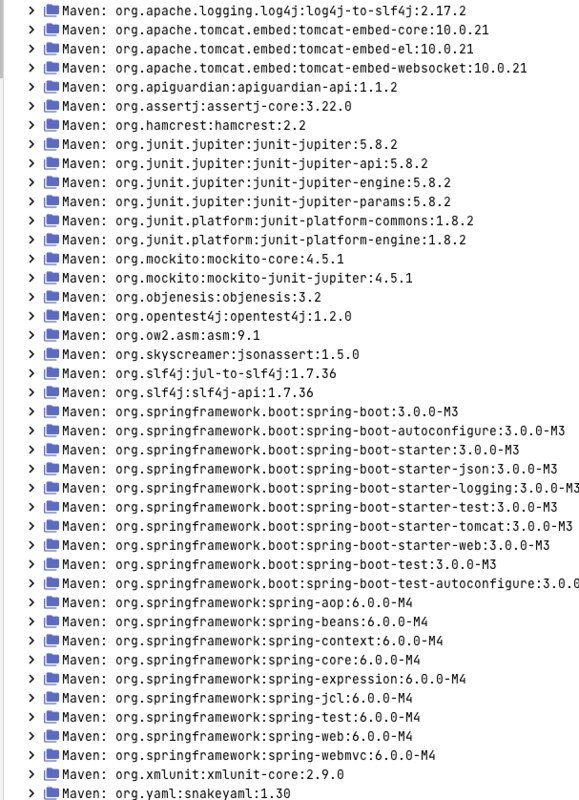 Spring based applications have a lot of configuration. When we use Spring MVC, we need to configure component scan, dispatcher servlet, a view resolver, web jars(for delivering static content) among other things. Below code snippet shows typical configuration of a dispatcher servlet in a web application. When we use Hibernate/JPA, we would need to configure a datasource, an entity manager factory, a transaction manager among a host of other things. Problem #1 : Spring Boot Auto Configuration : Can we think different? Spring Boot brings in new thought process around this. Can we bring more intelligence into this? When a spring mvc jar is added into an application, can we auto configure some beans automatically? How about auto configuring a Data Source if Hibernate jar is on the classpath? How about auto configuring a Dispatcher Servlet if Spring MVC jar is on the classpath? There would be provisions to override the default auto configuration. Spring Boot looks at a) Frameworks available on the CLASSPATH b) Existing configuration for the application. Based on these, Spring Boot provides basic configuration needed to configure the application with these frameworks. This is called Auto Configuration. Let’s say we want to develop a web application. First of all we would need to identify the frameworks we want to use, which versions of frameworks to use and how to connect them together. All web application have similar needs. Listed below are some of the dependencies we use in our Spring MVC Course. These include Spring MVC, Jackson Databind (for data binding), Hibernate-Validator (for server side validation using Java Validation API) and Log4j (for logging). When creating this course, we had to choose the compatible versions of all these frameworks. Here’s what the Spring Boot documentations says about starters. Starters are a set of convenient dependency descriptors that you can include in your application. You get a one-stop-shop for all the Spring and related technology that you need, without having to hunt through sample code and copy paste loads of dependency descriptors. For example, if you want to get started using Spring and JPA for database access, just include the spring-boot-starter-data-jpa dependency in your project, and you are good to go. Let’s consider an example starter - Spring Boot Starter Web. If you want to develop a web application or an application to expose restful services, Spring Boot Start Web is the starter to pick. Lets create a quick project with Spring Boot Starter Web using Spring Initializr. Any typical web application would use all these dependencies. Spring Boot Starter Web comes pre packaged with these. As a developer, I would not need to worry about either these dependencies or their compatible versions. As we see from Spring Boot Starter Web, starter projects help us in quickly getting started with developing specific types of applications. Spring Boot aims to enable production ready applications in quick time. Actuator : Enables Advanced Monitoring and Tracing of applications. Embedded Server Integrations - Since server is integrated into the application, I would NOT need to have a separate application server installed on the server. Congratulations! You are reading an article from a series of 50+ articles on Spring Boot and Microservices. We also have 20+ projects on our Github repository. For the complete series of 50+ articles and code examples, click here. At in28Minutes, we are creating a number of tutorials with videos, articles & courses on Spring Boot for Beginners and Experienced Developers. This resources will help you learn and gain expertise at Spring Boot. Spring Boot Basics - What Is A Profile? When we develop applications, we would want to be able to provide different application configuration in different environments? How do you achieve it with Profiles? Spring Basics - What Is A Dependency? Most important feature of Spring Framework is Dependency Injection. To understand Dependency Injection, you need to understand the concept of a Dependency. One of the most important features of the Spring framework is its modularity. It is not one big monolith framework. What are Spring Modules? How are they organized? What is the architecture of Spring Framework? There are several important Spring Projects solving the needs of enterprises today. What are Spring Projects and how are they different from Spring Modules? Spring Batch is a lightweight, comprehensive batch framework that is designed for use in developing robust batch applications. Spring Framework Basics - What Is Inversion Of Control? Developers starting with the Spring framework often get confused with terminology - Dependency, Dependency Injection and Inversion Of Control. In this article, we introduce you to the concept of Inversion of Control. In this article, we take a look at Spring Data and Spring Data JPA. In this article, we look to get an introduction to what the Spring framework is, and why it is so widely used. Spring Data project provides common abstractions to integrate with different kinds of data stores. Spring Data Rest is part of the umbrella of Spring Data projects. It makes it easy to build hypermedia-driven REST web services, on top of Spring Data repositories. You can check out our courses at in28minutes.com.